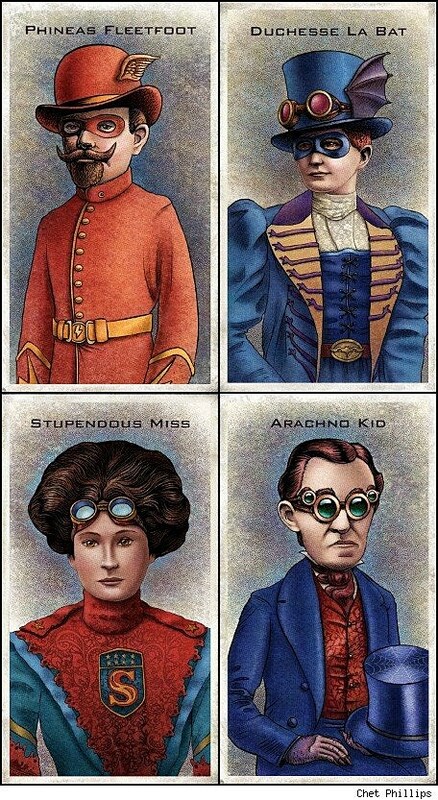 If you're anything like me, you know that Alan Moore and Kevin O'Neil's League of Extraordinary Gentlemen would have been way better as an Elseworlds story with steampunkified superheroes in place of those crummy old characters from boring old Victorian literature. Kidding! Kidding... 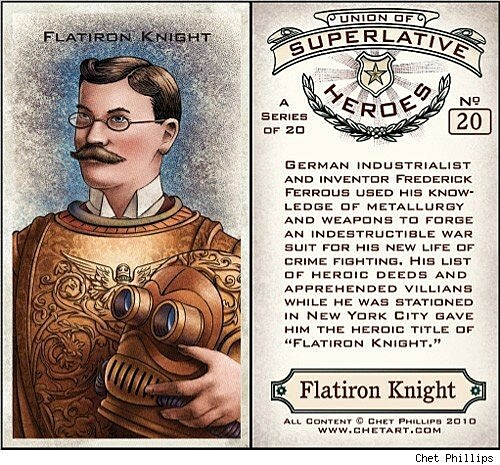 But it'd be fun to look at, and that's what artist Chet Phillips has done with his new project, the Union of Superlative Heroes trading card set. 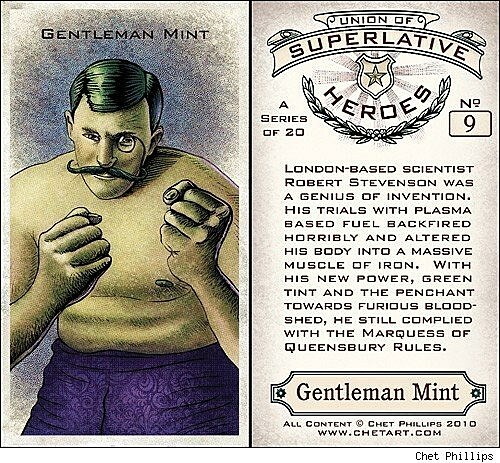 Heroes like Batman, The Flash, Iron Man and The Hulk are reimagined with such gloriously old timey names like Marquis le Bat, Phineas Fleetfoot, Flatiron Knight and, most awesomely, Gentlemen Mint, all with period-style illustrations and biographies to match. 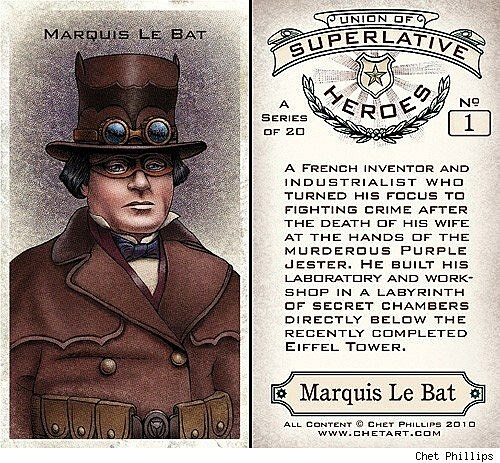 The set was created as a product for Phillips' Etsy shop and has now sold out, but the site says the Union of Superlative Heroes will become available again soon. In the meantime, check out some fine examples of Phillips' stupendous work after the jump.